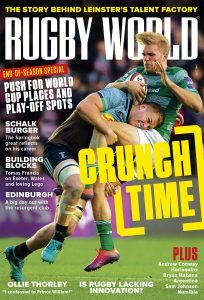 The game at Twickenham last weekend was served up merely as an aperitif to this weekend’s main dish, seven Test fixtures, as the tectonic plates of Northern and Southern Hemisphere rugby collide. We’ve put our head above the parapet to pick out five players who should stand out over the next few weeks of November – starting on Saturday. Rhys Preistland experienced his fair share of opprobrium from the public this time last year when a loss of confidence combined with Wales’ spiralling losing run saw him unfairly scapegoated. 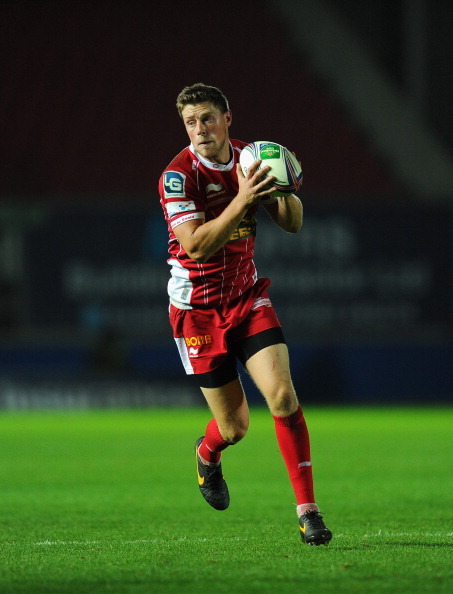 However, he returns to the Wales side at Priestland 2.0 after recovering from an Achilles injury re-energised and with a newly freshened appetite for the game. This has been demonstrated by his performances for Scarlets in Europe, where they sit atop Pool 4 in the Heineken Cup, confounding critics who predicted the Welsh team would swim with the fishes at the bottom of the group. That Preistland is a confidence player is beyond doubt, but fit and firing, he offers compelling package; strong game management, distance kicking from hand and quick-fire passing to create opportunities. Back in the side against the Springboks, he will play with a smile on his face but with a point to prove, both to himself, and to the fans. He may lag someway behind Jonny Sexton in the pecking order for the green No 10 shirt, but increasingly, Ulster fly-half Paddy Jackson’s considered performances have shown he’s ready to go toe to toe with his more celebrated colleague. Showing a maturity beyond his tender years, 21-year-old Jackson has added improved decision-making, a watertight defence and Test-level kicking ability to an already alluring skillset. Jackson has been instrumental in Ulster’s Heineken Cup campaign so far, helping eke out an impressive win on French soil against Montpellier and slotting 17 points against English champions Leicester Tigers at Ravenhill. His maturing game will not have gone unnoticed by new Ireland coach Joe Schmidt, who may well be reaching for the paracetamol before too long. 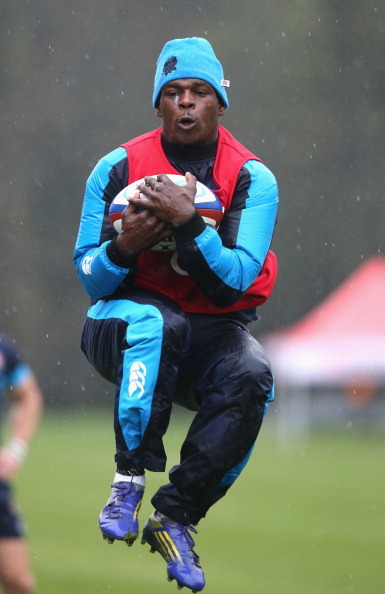 Christian Wade did not even make the bench for the Australia game but after fellow right wing Chris Ashton did little to press his cause – he carried only 22m and was at fault for a mistimed tackle on Israel Folau before Matt Toomua’s try – the calls for Wade’s inclusion grow ever louder. The young Wasp could not have done more against Gloucester last weekend. He scampered in for two outstanding tries, which were both nominated for Aviva Premiership Try of the Week. They were two pieces of individual brilliance, which, arguably, only Wade could have achieve. He showed vision, quick footwork and electrifying pace to dot down. Put simply, he’s a match-winner and should be giving Stuart Lancaster a selection headache. Some may say it’s easy, riding behind an All Black pack that gives backlines such a stable platform to attack, but that would be doing a disservice to Ben Smith’s stellar form for New Zealand in recent months. Worldwide fame may have come relatively late to the 27-year-old but Smith is currently considered – on strikerate alone – as one of the world’s most potent wingers. A full-back at domestic level with the Highlanders, there’s even the suggestion he may fill in at No 13 in place of Conrad Smith for the Autumn Tour, as he did in Dunedin a three weeks ago, against Australia. 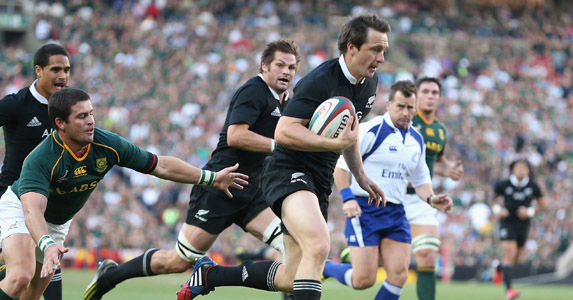 Smith has a high work rate, the ability to bounce first-up tacklers and a priceless habit of being in the right place at the right time, a fact reinforced by him scoring a record eight tries in the Rugby championship this year. Israel Folau’s rare athletic prowess was again on show against England last Saturday. The full-back showed his unique NRL skills as he consistently picked balls out of the South-West London sky and his intelligent angles of running belied just 11 caps in Union. It was no surprise then, that he was the catalyst for Australia’s only try, after a shimmying run down the left-wing. Of course British fans will know all about him after his counter-attacking brilliance against the Lions in the summer, while his recent hat-trick against the Pumas just showed he’s one of the most dangerous broken-field runners in world rugby. If they’ve done their research, Italy would do well to try and avoid kicking the ball to him in space. The rematch with George North will be worth the price of admission alone.